Homecoming Chef Feature: Dani Mitchell-Turk | BRAVO! Written on July 18, 2018. Thus began what would be a two-decade relationship between Jeff Good, Dan Blumenthal and Dani Mitchell-Turk. Starting as a member of the wait staff in the early start-up years of BRAVO!, Dani moved on to lead the front service counter at Broad Street when it opened. She then moved to take over the bakery when it was located at the Cabot Lodge – Millsaps, a roll she excelled at until 2009 when she opened her own confectionery and catering business – For Heaven’s Cakes and Catering located on Ridgewood Road in North Jackson, just up the road from both of her former stomping grounds with us at BRAVO! and Broad Street. Dani will be returning to BRAVO! for one night as a part of our Chef’s Homecoming dinner, and she will be anchoring the event with the dessert course. “I cannot wait to come back and see all my old friends, not only in the kitchen, but out in the dining room! It’s going to be a great night!” exclaimed Dani when asked about the evening. 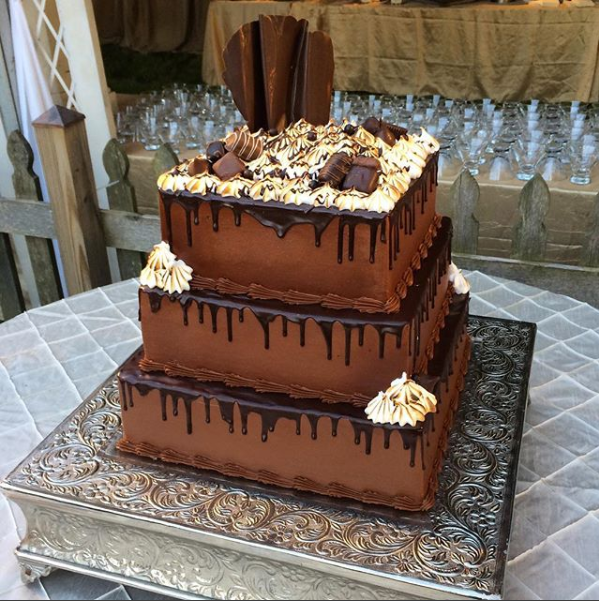 Want to learn more about For Heaven’s Cakes and Catering? Follow Dani on Instagram or Facebook . To read more about our Homecoming Dinner and see the rest of the menu click here.